WHY HAS CHRISTIANITY NOT TAUGHT REINCARNATION? Origen (185-254 C.E.) was one of the most influential Christian thinkers of his time. St. Jerome declared him to be “the greatest teacher of the Church after the apostles.” St. Gregory of Nyssa calls him “the prince of Christian learning in the third century. [i] Origen taught pre-existence of souls and reincarnation. The Church Fathers disagreed vehemently as they sought to establish the new religion—Christianity. All sorts of human motives clouded the issues. Rather than simply allowing those who so desired to follow the teachings of Jesus, the ultimate goal of the Church Fathers was, according to Irenaeus, Bishop of Lyons, “the real Church has one and the same faith everywhere in the world.” [ii] The original source for this quote is Irenaeus’ Selections From the Work Against Heresies. The quote and the title of Irenaeus’ book speaks volumes. Reincarnation is a natural expression of eternal life. Origen’s teachings are based on Earth’s 3rd dimensional plane of duality where Earth humans have acquired negative karma while learning via the challenges found within an environment of good and evil. This negative karma must be purified or balanced—thus all must at last return to their original perfection. Now that we are preparing to ascend to higher dimensions, reincarnation will occur differently. On the higher dimensions, the soul may occupy the same body for hundreds or thousands of years … decide to discard it and rest … then take on another body and continue the work she/he has chosen to do. Because the Church condemned as heretical a belief in and life orientation including a knowledge of reincarnation, people of Western cultures have not known of their own pre-existence. As a result, our entire theology and philosophy of life have been formulated in terms of one life to live. This has resulted in Western societies not knowing who we are as human beings. We conceive of life as beginning with conception and ending with physical death. The traditional religious concept of eternal life is something like walking the golden streets of heaven for eternity or burning in hell for eternity. We wonder why we are here … what is the purpose in life … we think, “surely there is more than this.” We say we love God, but deep down we are afraid of a God who can do anything God wants to do. WHAT DOES REINCARNATION HAVE TO DO WITH ABORTION? Life on the 3rd dimensional plane of duality is based on the individual Soul Contract. Before incarnating, each Soul—with the guidance of spiritual teachers/guides—plans the major events for the forthcoming incarnation. These plans include selecting our parents and discussing plans with them. No one is an accident … parents and future children already know each other. While living on the 3rd dimension, we forget that linear time does not exist on higher planes … there is ONLY NOW. We also forget that ALL CONSCIOUSNESS IS CONNECTED—communication with all beings is easy, regardless of where each being is located within the cosmos. In fact, if we think it, we can be there. We also tend not to know or forget that our Souls travel while our physical bodies sleep. The individuals who have contracted to be our parents can easily meet with us on the inner planes while their physical bodies sleep. In this way, we can keep up to date with what is going on with those who contracted to be our parents. Soul contracts are not carved in stone. The conditions in which our future parents find themselves can change. A Soul contract includes multiple people, all of whom have freewill. Both parents and future children have the opportunity to discuss whether or not they desire to continue in accordance with the Soul contract. There is no punishment, no judgment for not doing so. The purpose for incarnating is to grow spiritually according to each individual’s Soul needs. It would be a waste of universal energy for a Soul to incarnate, knowing that the purposes for taking on a physical body could not be accomplished. If physical pregnancy occurs, abortion does not mean that the unborn child is killed. The unborn child is still in the higher realms and very likely has agreed to the abortion before it occurs. 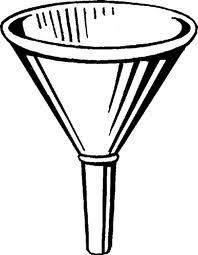 A funnel aptly illustrates the life of an unborn child. The Soul of the unborn child remains in the higher realms, represented by the wide portion of the funnel. Contrary to the one life to live concept of birth, the soul incarnating is free until the time of birth when it must enter the narrow part of the funnel in order to take on a physical body. We on the 3rd dimension think of birth as joyful and it is for the family. But the Soul has given up its freedom and open spaces. Babies sleep a lot so they can return to higher planes and escape restriction. Gradually, they adjust to the confinement and sleep less. The newborn child also has the option of making changes in the Soul contract. Each Soul is given a period of two years in linear time to evaluate the physical environment and determine how well his/her Soul’s reasons for incarnating can be achieved. If the child so chooses, he/she can return to inner realms during the first two years of physical plane life. We often call these “returns” crib deaths. The parents are grief-stricken, while the child is joyful and free from life in the narrow portion of the funnel. Depriving Western cultures of the knowledge of reincarnation has sadly been a means of control by the powers that be. We are controlled by a fear of death, fear of extinction, fear of spending an eternity in a non-existent physical place called hell. The fight over abortion serves to divert attention while the powerful carry on their undercover activities. Think of all the energy that millions put into fighting over abortion, birth control, planned parenthood during the 2012 elections. Lack of knowledge of reincarnation, the Soul contract, and the Soul’s ability to change that contract has created untold suffering. This lack of knowledge has been a major means of enslaving Western cultures. Question: I can’t believe the Soul is not in the baby’s body during the gestation period. My daughter has memories that I share of her time in the womb. Answer: The Soul of the future child can be very much present with the Mother while not being within the baby’s physical body. Mother and child can communicate and do. Enjoying the pregnancy, loving the unborn child, playing music for it … all can be a part of the process. Our physical cells have memory and all of the experiences during gestation will remain in the cells’ memory. The fact that the Soul does not enter the physical body until birth, or shortly thereafter, does not lessen the closeness that parents experience with their child during pregnancy. The Soul is experiencing along with the parents, while remaining free of the restraints that come with entering a physical body. My reason for writing the article was to help those who are so concerned over killing babies realize that there is no death of the Soul involved in abortion. Death of the Soul does not exist. Losing a child through miscarriage or abortion can be painful to the parents because on our present 3rd dimensional plane of duality, we are taught one life to live. As a result, what we perceive as death holds a finality that is painful to bare. Sadly, the lie that abortion = killing babies is propagated by those who seek control via manipulating and lying to the people. This emotionally saturated issue can be used by the power elite to determine, or greatly impact, the outcome of events as huge as a presidential election. Thankfully, when we ascend in a few short weeks, we will know that ALL IS CREATED WITH LOVE! [i] Reincarnation: The Phoenix Fire Mystery, eds. Joseph Head and S.L. Cranston, page 144-148. [ii] Irenaeus, “The Refutation and Overthrow of the Knowledge Falsely So Called,” Early Church Fathers, trans. & ed. Cyril C. Richardson, page 362. [iv] Wow! Even Origen taught the [Purple Transmuting] Flame of Purification! [v] W.R. Inge, The Philosophy of Plotinus, London, 1948, pages 17, 19.